We are Fundraisers who set up an agency. We are Fundraisers who bring personal expertise from setting up in-house teams and agency relationships all over the world, and personal experience of all aspects of field fundraising in SA. We are Fundraisers who have seen the best of fundraising, and, well, some of the not so great too. We bring a theoretical and practical understanding of what motivates a committed giver to decide to give and to stay giving. Most of all, we bring a desire to fundraise in a way that makes us proud. Having started his career in insurance underwriting, took a position with Greenpeace Africa in the pioneering F2F unit in South Africa in 2008. During this time he developed an in-depth knowledge of the field practices of F2F Fundraising becoming Data Base and Retentions Administrator. In 2010 he was approached to manage the Northern Region of MSF’s in-house F2F programme, before moving on, in 2014, to accept the post of National Fundraising Support Manager with Save the Children South Africa. Once again, Tich excelled, playing a key role in setting up and building its in-house and agency F2F programme. training and leading F2F fundraisers for UNICEF, WWF, SOS Children’s Villages, and Breadline Africa. Now celebrating a decade in F2F, Tich has always placed the highest value on the relationships he has established with his teams, clients and internal stakeholders. His knowledge of F2F Fundraising in South Africa is unsurpassed, and his leadership of NFE will allow him to build an agency which reflects those values, that expertise, and his desire to serve his clients and affect change in the country he now calls home. He is a massive sports fan, counting Manchester United, Orlando Pirates, New York Yankees, Golden State Warriors and The Stormers amongst those he follows with passion. He also enjoys good documentaries, crime shows, live music, standup comedy and arts and culture in general. Tich is NFE’s Co-Founder and Managing Director. Born in Pennsylvania, Martin is a lifelong entrepreneur and an innovator in the world of fundraising. His years of study in the non-profit and governmental space earned him Honors Degrees from Clark University in both Government & International Relations, and Public Administration. 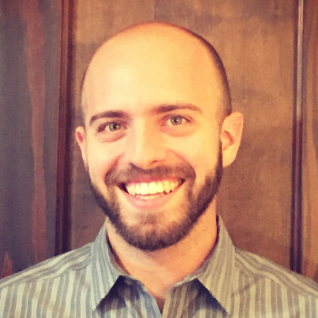 Once out ‘in the field’, Martin worked as a fundraising consultant and grant-writer for local non-profits in Worcester, MA. While this work was fulfilling, his drive and passion told him there had to be a more sustainable way to secure funding. Life brought Martin to Austin, Texas in 2013, where he entered the world of face-to-face (F2F) fundraising for the first time. Immediately he found his niche and honed his skills recruiting recurring donors for Plan International and Save the Children. After starting as an entry level fundraiser, he continued to move up the hierarchy until he was given the role of COO. His focus on direct management, integrity, respect, and innovation helped him become the successful leader he is today. Having played a crucial role in the expansion of one of the fastest growing fundraising companies in the country, Martin went on to co-found New Canvassing Experience in an effort to design a forward thinking fundraising team that will set a new standard for excellence and quality in the industry. Martin is a keen runner, archer, hang-glider pilot, and gardener, and is married to Rachel. Martin is NCE’s Co-Founder and Chief Executive Officer. 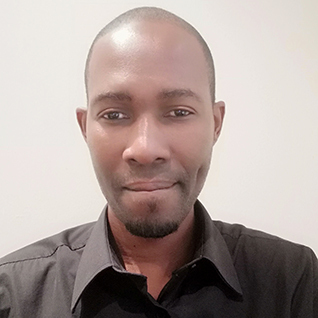 Lebogang Mokobane hails from Johannesburg and is a passionate young man with a strong background in Development Studies and Public Administration, the majors he specialized in at the University of Johannesburg. 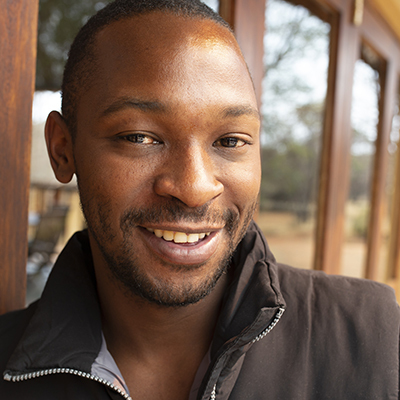 Lebogang first started his F2F career in November 2010 when he joined MSF as a F2F Fundraiser in the Johannesburg team. During his time at MSF, Lebogang was the Team Leader for the MSF travel teams that visited Nelspruit, Rustenburg, Polokwane, Garden Route, Durban as well as the Eastern Cape. Lebogang worked his way up to became the permanent Team Leader for the Johannesburg team. Towards the end of 2014 Lebogang joined the new fundraising agency in South Africa Fundraising That Works (FTW) as an events Co-coordinator and was later appointed as the National Support Manager, supporting all of FTW’s operations nationwide. It was in December 2015 that Lebogang was appointed as the Gauteng Area Manager, managing up to seven Gauteng teams on behalf of WWF, SOS Children’s Villages, Hospice and UNICEF South Africa. After eight years fundraising for some of the world’s largest NGO’s, serving as a Fundraiser, Team Leader, Events Coordinator, Area Manager, National Field Manager and today as the Regional and Operations Manager for South Africa’s newest F2F agency New Fundraising Experience (NFE). 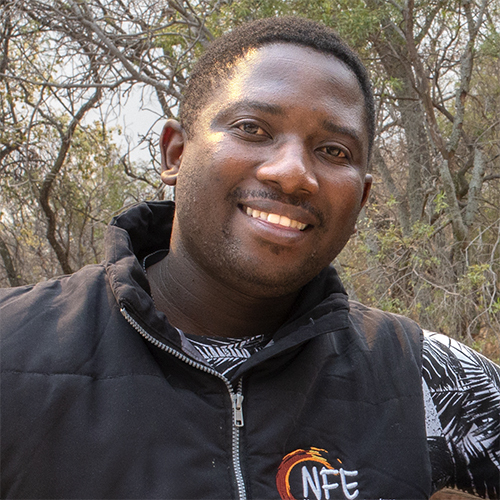 Lebogang has seen much of the best in F2F Fundraising, and his experience and positive approach to F2F and people development is a valuable addition to NFE’s management team and the fundraising sector in South Africa. Marvellous Manyonga is the Data and Admin Manager for New Fundraising Experience (NFE) residing in Pretoria. Marvellous has been in the NGO sector for over six years, starting his career at Save The Children South Africa as a F2F Fundraiser. Marvellous quickly moved up the ranks until his departure in 2016 to join a fundraising agency as an Operations Manager. Other affiliated NGO’s include SOS Children’s Village, Hospice Wits South Africa, UNICEF South Africa, WWF South Africa, Breadline and CHOC Cancer Foundation. Marvellous comes from an Accounting and Marketing background having studied with Specis College e and is currently pursuing a Diploma in Marketing Management. This experience has given Marvellous an appreciation and knowledge of the NGO sector and its valuable contribution to the lives of underprivileged people. It is a contribution Marvellous is proud to be a small part of. Kline hung up his Chef’s jacket to serve society. He started his career as a F2F Fundraiser in January 2017 raising vital funds for UNICEF, Save The Children and WWF South Africa. In July 2017 an opportunity to be Team Leader was presented to him and he took it with both hands. His drive and focus have afforded him the opportunity to be training for the role of Area Manager in Cape Town with New Fundraising Experience (NFE). He accepted this role seeking to make a difference in his country through the clients he represents. 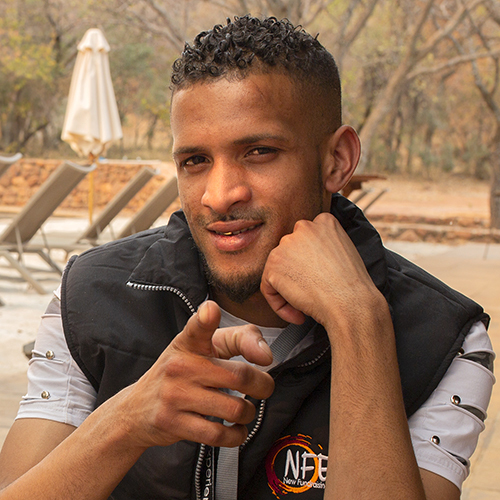 He has bold intentions about his role at NFE and cannot wait to see his Fundraiser grow and develop and for the teams in Cape Town to reach greater heights. Kline is a father to a 7-year-old son. He is a 31-year-old Zimbabwean and has proved to many that hard work and dedication is essential in one’s career success. He is a massive cricket and Man United supporter, and if not at work, you will find him sharpening his cooking skills in the kitchen, or most likely tuned in the sports channel. Shaylon Dickson a young man from the west of Johannesburg. Being a mechanic by profession, he made the decision to leave the greasy overalls and heavy metal to make the world a better place. Shaylon has been in Face to Face Fundraising for more than 3 years, and he’s loving every moment of it. Shaylon has been fundraising for a few NGOs such as Save The Children, WWF, SOS, UNICEF and others. With all his experience he received an opportunity to become the Durban Area Manager trainee for NFE. In his spare time Shaylon loves to read, take long beach walks and explore new outdoor activities. 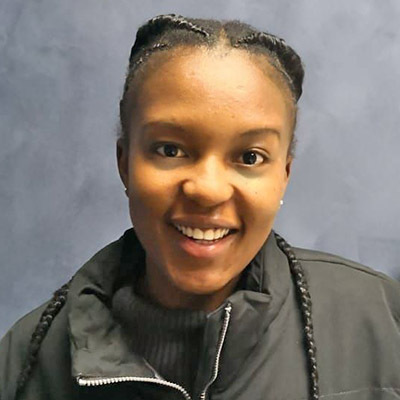 Born and raised in KwaZulu Natal, Siphesihle is a vibrant, hardworking individual who strives with everything she has. 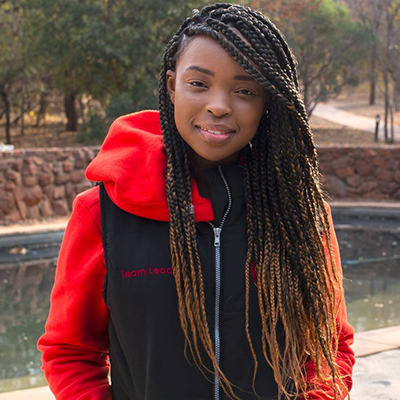 Siphesihle studied Graphic Design but found a strong passion in F2F fundraising when New Fundraising Experience introduced the beauty of it to her 4 months ago. In her short period of time of fundraising she has learned to be a fighter, to fight for everything she wants to achieve all through working hard. 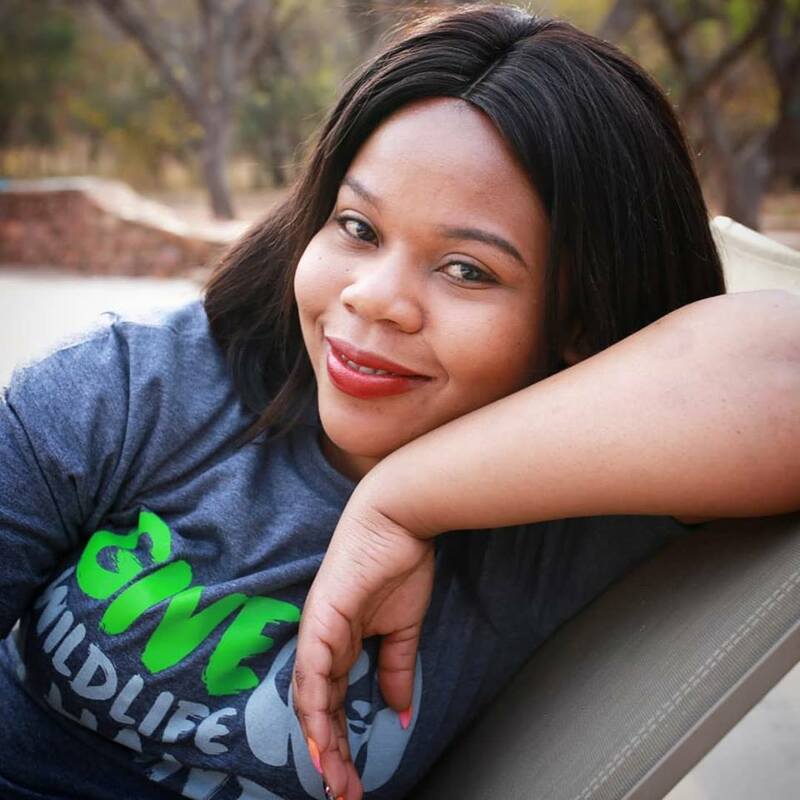 She started F2F fundraising with an NGO called Breadline Africa in May 2018 and has grown tremendously within the New Fundraising Experience family. Having to relocate from KwaZulu Natal to Gauteng has been nothing but the best motivation for her to work harder and achieve more greatness. 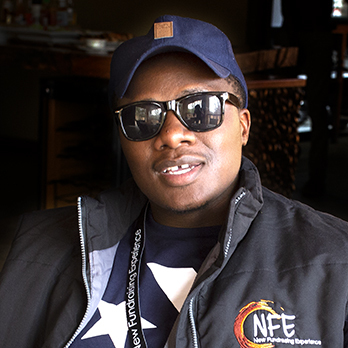 Siphesihle still has room for great experiences within the NFE family. She appreciates the company of others. She shares a lot of jokes and she is definitely the ‘’energade’’ of the team, she absolutely cannot go a day without smiling and tries by all means to make everyone else around her to feel comfortable to best suit the working environment she is in. She enjoys cooking like a master chef, reading and watching crime drama’s which makes it easier to solve problems. She is a very creative individual who sees the world in different colour pallets. Xoliso Mbambo is a passionate hard-working lady who holds a degree in social sciences in Development studies. She is armed with a passion of making a difference in the world and has a strong belief that one individual who is determined to make a difference in the world can with desire, drive, dedication, discipline, passion and persistence to do so. Having started her career as a F2F fundraiser for various NGOs has been a dream come true because all she believes in has been realised. This is through making a difference one person at a time, one day at a time and one project at a time hence this will leave a long lasting impact in the world. This is an accomplishment that she will forever cherish. Xoliso is also one of the first fundraisers to join NFE when they launched the first field team in Cape Town. Her hard work and passion on different campaigns such as WWF, Breadline and Action aid lead to her being a Team Leader in Cape Town. Today Xoliso received an opportunity as the Cape Town Area manager in training with NFE which has always been one of her goals at NFE. Angel Phindile Ndimande is a young and dynamic enthusiast about life. Originally from Durban Kwa Zulu Natal, she commenced her studies in law with the university of KwaZulu natal. she has a passion for business and leadership. Her very first experience in business being at the tender age of 14 years when she won a young entrepreneur competition which motivated her to start a small scale business designing prom dresses in high school. She is purpose driven and has held numerous leadership positions through her secondary and tertiary education such as being head girl in high school, BMF president in second year to name a few ,she has also represented her university in various pageants across the country, her highest title/achievement being Miss SA varsity shield. Community outreach programs ignite her desire to serve ,in her own experience, it is a wonderful way to give back. She is an aspiring business women who thrives in challenges and enjoys a fast paced corporate atmosphere. she has made a name for herself within the fashion and modelling industry, she is a motivational speaker , one of her aims in life is uplifting and mentoring other women who have similar interest. Like any other person she’s had to pave her way through various circumstances , faced her fears , overcame her obstacles fought the good fight and today she is a confident powerhouse. Angel started her journey with NFE as a face to face fundraiser over a year ago, within a short period of time through dedicating herself and having pride in her work she progressed to be a team leader, she has worked on campaigns such as Breadline Africa , WWF, and Action aid. She is now the national logistics manager for NFE and the youngest spark in the management team. On a lighter note, she has a taste for adventure. A free spirit and a adventurous explore who loves nature, she is active young person who loves sporting activities such as tennis and hockey. she also appreciate time and space alone to reflect and plan ahead . she loves reading for the mere fact that its mentally enriching and fuels her ideas for things she wants to achieve in future.